"I've found what I've been looking for my entire life." I appreciate you hearing my story. I battled with substance abuse for a long time, but by the grace of God I turned my life around 5 years ago. I'm now married with a baby daughter. I can't vote because of past felony convictions; I want to regain that ability to have a say in policies that impact my daughter's life. This November, voters in Florida will say Yes or No to Amendment 4, which would restore the vote to 1.5 million Floridians like me. I'm hoping you'll promise to vote on my behalf. 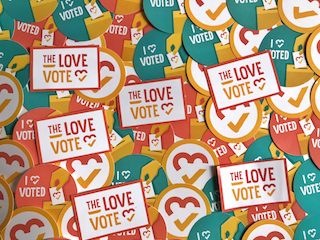 Show Brett love + inspire others + get voting info + get event invites + get stickers + create change!